Omaha, NE, March 26, 2018 –(PR.com)– In light of the continued nursing shortage, there’s more bad news for organizations trying to hire and retain nurses: for the third year in a row, nursing has the lowest employee engagement of any department. According to new research by Quantum Workplace, a leading employee engagement software company, only 68% of nurses at best places to work are engaged in their work. This is well behind the national average among best places to work of 74% – and a world away from the most engaged department, human resources, with 86% of employees engaged. Nursing was also the only department that saw a decrease in employee engagement in 2017. Nursing has long experienced a shortage of talent, and this shortage has been compounded by the 2008 recession, the growing population of American elderly, and new insurance processes. The research conducted examines more than half a million employees at more than 8,700 best places to work across the US. Participants were asked questions about key factors affecting employee engagement, including perceptions of teamwork, trust in leaders, job satisfaction, and benefits. The survey used a six-point Likert scale, and employees were classified as highly engaged when their average response was between five and six. All surveys were collected from January 1, 2017 to December 31, 2017. Of the 30 survey items, nursing saw the biggest decreases in items relating to trust in leadership. Quantum Workplace found that one of the top five engagement drivers, those items which correlate highly with employee engagement, for nurses was “I trust our senior leaders to lead the company to future success.” This top driver saw the biggest decrease in favorability. 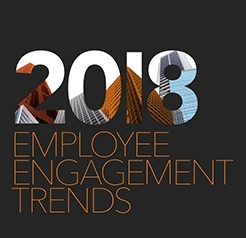 For more information on employee engagement in nursing and across departments, visit www.quantumworkplace.com/nursing-trends-2018. Quantum Workplace provides an all-in-one employee engagement software that makes managers the central drivers of workplace culture. Serving more than 8,700 organizations, Quantum Workplace’s technology gives team leaders direct access to employee feedback and personalized real-time insights, so they can make work better every day. For more information, visit www.quantumworkplace.com.